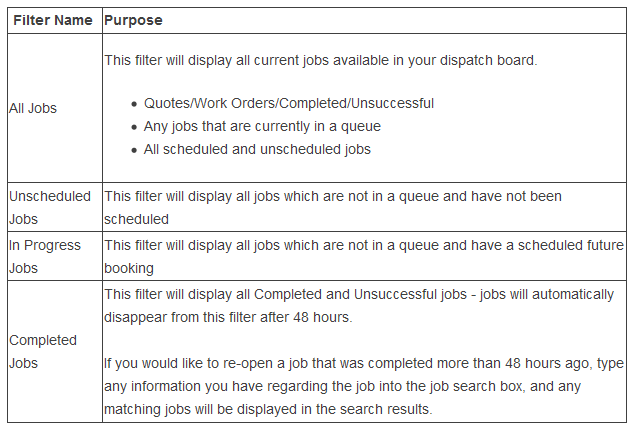 Job Filters allow you to manage your current jobs easier, by re-organising the dispatch board to match how your business operates. 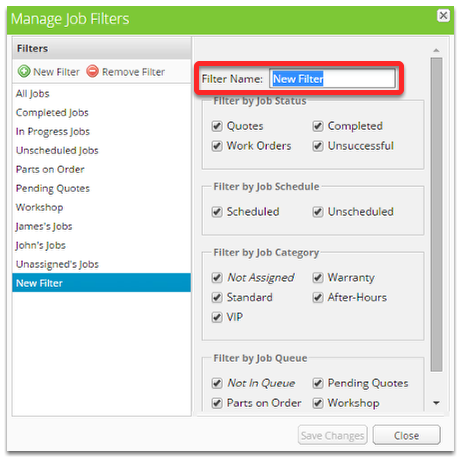 At the top of the job list, you will find a drop down with your available job filters. 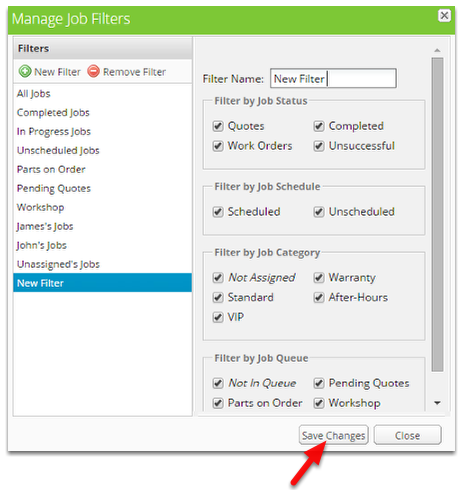 ServiceM8 comes with several job filters to help get you started, but once you understand how job filters work you can create your own. Note: If you are using Job Queues, each job queue will have it's own job filter automatically as well. While standard filters cannot be modified, you can create you own filters. 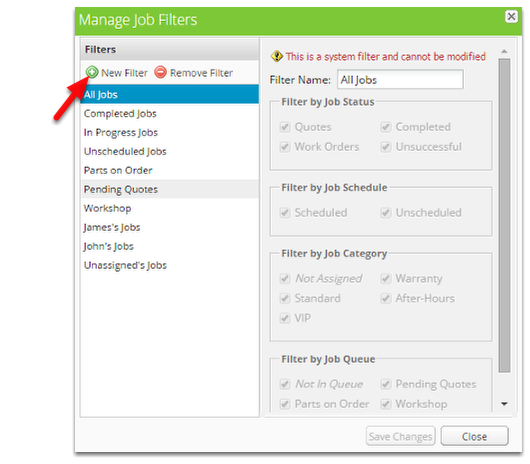 Tick and untick the options available to create your desired job filter - not the job list on the right will adjust as you make changes, so you will know when you have the right settings. When you are finished adding filters, simply click the Save Changes button to start using them in the dispatch board. 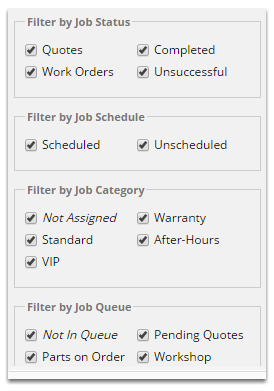 Note: Custom Filters are available to all staff automatically.